A new study has predicted that most of the existing habitats of the Nilgiri Tahr in the Western Ghats will become unsuitable as global warming intensifies. 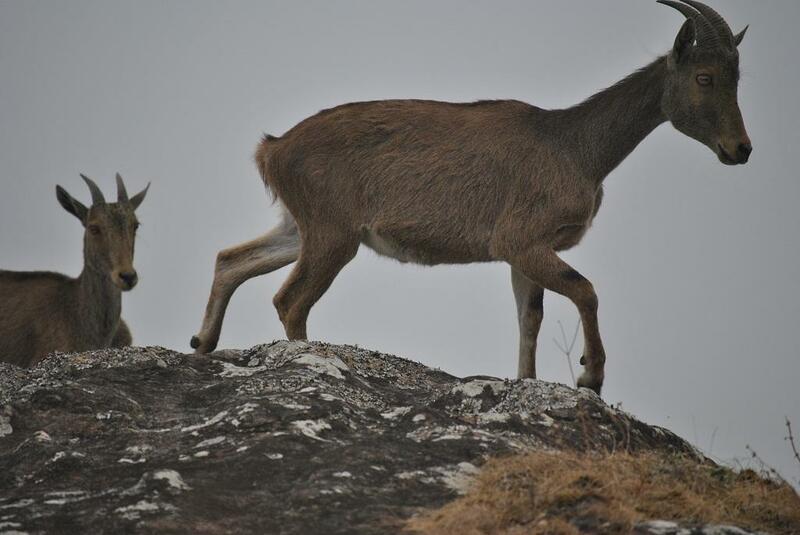 The Nilgiri Tahr is an endangered, hoofed mammal or ungulate endemic to the Western Ghats. In fact, it is the only mountain ungulate in India amongst 12 other species of ungulates. Historically, the Nilgiri Tahr was found everywhere in the Western Ghats but currently only 3,000 exist and their habitat is restricted to one-tenth of their original range. Currently, they are found only in the southern Western Ghats in an altitude range of 1,100 metres to 2,600 metres. The study has been published by a team of five scientists, including two from the Bengaluru-based non-profit Ashoka Trust for Research in Ecology and the Environment (ATREE) in the journal, Ecological Engineering. It indicates that the Kalakkad Mundanthurai Tiger Reserve in Tamil Nadu and the Peppara, Neyyar Schenduruny and Srivilliputhur wildlife sanctuaries in Kerala and Tamil Nadu will become unsuitable for the Tahr in the future due to climate change. The study is first of its kind to use the ecological niche model to predict the species distribution of the Tahr in varying climate scenarios, according to a press release by ATREE. The ecological niche model uses the relationship between a species and its habitat to identify potential species distribution. The future climate projections in the study were based on two scenarios, the first scenario represented an optimistic emission rate, with peaking of emissions by 2040, while the second scenario represented continuous rise in emissions all through the 21st century. The study looked into these scenarios over a course of three time frames (2030s (2021–2050), 2050s (2040–2069) and 2080s (2070–2099)). It predicted a maximum habitat loss of 61.2 per cent, 61.4 per cent and 63 per cent for 2030, 2050 and 2080 respectively if emissions did not reduce. The study comes at a significant time as there has been a continuous decline in Tahr populations owing to hunting, conflict with livestock, grazing and habitat loss over the years and no study till date has looked into the likely effect of climate change on the Nilgiri Tahr. The study also forewarns that the existing protected area network might not be effective in conserving the Tahr if climate mitigation measures are not adopted in management plans of protected areas. The study recommends surveys for improving the condition of existing habitats. The habitat loss of Nilgiri Tahr is not due to Global warming or climate change. The main reason behind that is the intervention in the form of quarrying, construction activities and large scale deforestation. The precipitation pattern of the western ghats has drastically changes during the last three decades. Last two years showed a considerable decrease in precipitation in the western ghats area. Unless we d something to protect western ghats from quarrying and deforestation , the habitat loss will be real not only for Nilgiri Tahr but also to all other diverse wild life.